Joel Hoekstra has announced the release of his new melodic hard rock studio album, Dying To Live, from his electrifying new side project, JOEL HOEKSTRA'S 13. 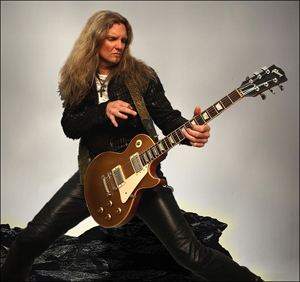 Hoekstra is best known to millions of rock fans as the currrent guitarist for WHITESNAKE, and is also known for his work with NIGHT RANGER, TRANS-SIBERIAN ORCHESTRA and the show Rock Of Ages. Dying To Live features an all-star cast of rockers including Jeff Scott Soto (vocals), Russell Allen (vocals), Tony Franklin (bass), Vinny Appice (drums) and Derek Sherinian (keyboards), and and will be available via Frontiers Music SRL on Friday, October 16th. “Years ago, I released three solo albums that were mainly instrumental guitar music. I wanted to put something out that showcased my production, writing and playing in the genre that I'm known for, which is melodic, hard rock, explains Hoekstra. 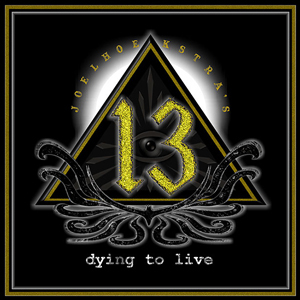 That’s when I decided to start what I consider to be my rock side project, JOEL HOEKSTRA'S 13.” Dying To Live focuses on struggles, potential pitfalls and the art of overcoming obstacles in life to finally arrive where we are meant to be. "Say Goodbye To The Sun"